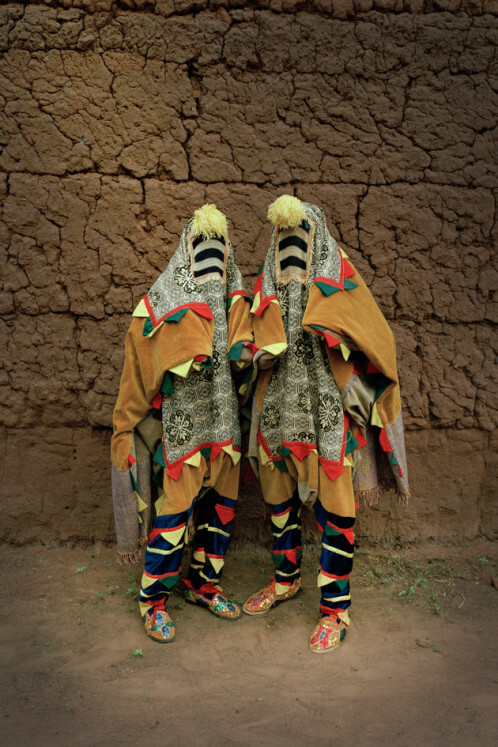 The Seattle Art Museum is currently exhibiting ‘Disguise: Masks & Global African Art’ – a show featuring contemporary African and African descending artists. The common feature leading each and every piece is their ‘hiddenness’ – they all reinterpret the concept of the mask. Thus, the topics and pieces on show are vast and diverse. The show develops a very unique promise. The masquerade is created in an ephemeral way that will vanish at the end of the exhibition, so will the artworks. For a given time, the artists and pieces can change, reinvent or create an identity. Masks, performances, illusions, costumes can all be used to convey the idea, impression and dimension of a masquerade. To create the artifices of a masquerade every sounds and media setting is of high importance, visually creating futuristic masks that one can’t wear but can see. Therefore, innovation and modernism are the two main constituents of the show.